Managing T&E isn’t a side task for AP departments. 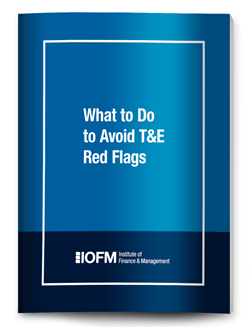 IOFM is here to help those in your function responsible for establishing and communicating T&E policies and procedures, auditing and enforcing compliance with those rules, and performing spend analysis – whether operating manually or enabled by T&E automation. When approving T&E, you are the last line of defense against fraud and abuse. Learn the six signs that should draw extra scrutiny. And, more importantly, what do about if you suspect trouble. Is Your T&E Policies and Procedures Guide Obsolete? Can a company refuse to pay late T&E expenses? I'm looking to send my associates a month-end memo via email, reminding them to forward their invoices to AP by a particular date. Does TAPN have a sample memo I can use? Has the IRS changed the requirements for documenting T&E expenses for 2018?